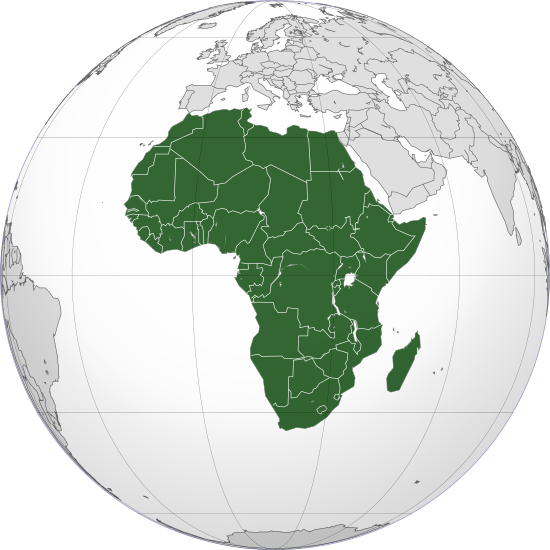 The future belongs inexorably to the continent of Africa. By 2050, it will have the same population as China and India do now. There will be burgeoning consumer demand from a growing middle class, a population of nearly 2 billion people, of which around 800 million young people will be looking for meaningful and sustainable employment. If we can harness this potential by aligning supply with demand, markets with customers, and skills with jobs, and keep most of these elements and links largely within Africa, then Africa will become an unstoppable economic force, capable of feeding itself and the rest of the world for good measure. That is the future scope for Africans to shape in their own interests and for their own economic ambitions. But first we must light up and power Africa. We must turn on the lights, power and activate the continent. Very little business, education, healthcare or entertainment can be done without some form of power. Some 645 million people do not have access to electricity at all. Power is at the top of everyone’s To Do list, and African politicians are often made aware of the truth that power and electricity make for prosperous, settled and peaceful societies. They realize that if they want to stay in power then they must give power. Agriculture contributes about 16% of the GDP of Africa and employs up to 60% of the population, but it lags far behind other sectors and other countries. It attracts little investment, but it holds the key to accelerated growth, diversification and job creation for African economies. The sector should be developed and modernized as a pre-requisite for the industrialization of the African economy, the strengthening of its infrastructure, and for the concerted domestic production of food, textiles and processed goods in order to conserve more value within the chain. A more productive, efficient and competitive agriculture sector will create jobs, align outputs closer with industry, manufacturing and processing, stimulating more inclusive growth, additional domestic savings and balancing international trade. In short, the future of Africa depends on the modernization of agriculture. And to do so, Africa must unleash the power of the private sector. Governments should partner with it and incentivize it, deploying its full potential. Additional support and facilitation for the private sector also connects to the need for a realistic future for Africa’s youth through jobs, peace and stability. We cannot continue to let our young people flee our shores on perilous journeys to countries that have become less welcoming of migrants. And this is the key to transformation – a legacy of growth coupled with the confidence of a new generation of young African entrepreneurs with new vision and ambition, incentivized and encouraged to invest and engage in building business and stimulating industry. This is all fully recognized in the African Development Bank’s practices, its actions and in its strategic priorities, the High 5s: Lighting up and Powering Africa, Feeding Africa, Industrializing Africa, Integrating Africa and Improving the Quality of life of African people. The High 5s cover some 90% of the Sustainable Development Goals and the African Union’s Agenda 2063, and provide the direction and the pathways to the transformation of Africa. Dr. Akinwumi Ayodeji Adesina is the President of the African Development Bank Group. He previously served as Nigeria’s Minister of Agriculture and Rural Development, during which he implemented bold policy reforms and created new agricultural investment programs to expand opportunities for the private sector. A distinguished development economist and agricultural development expert, he was Vice-President of the Alliance for a Green Revolution in Africa (AGRA) and Associate Director at the Rockefeller Foundation in New York. He has received a number of global awards for his leadership and work in agriculture and economic development. This is a perfect depiction of the bright future that awaits Africa. AOP is lighting Up remote Africa one village at a time; giving hope and possibilities to people who have been otherwise forgotten. Bravo. I am particularly thrilled by Dr. Akinwuwi conviction that for African leaders to stay in power, they need to give the people POWER.